Order of the Most Holy Mary Theotokos - Is the Hail Mary Biblical? The “Hail Mary” is the illuminative word ever spoken to a human being and it is through it that the Light (Jesus Christ) came into the midst of men to overcome darkness. Let’s examine the Hail Mary prayer. [Part 1] Hail Mary, full of Grace, the Lord is with thee. This is derived from the greeting of the angel Gabriel to Mary. The biblical Greek word used by the angel kecharito¯mene¯ is rightly translated as “full of grace,” it is the perfect passive participle of the Greek word charitoo¯ which means, “to grace.” Mary was “full of grace” because the Lord is united with her, “the Lord is with thee” as the angel added. In other passages of the New Testament, certain men are said to be “full of the Spirit” and also “full of grace and power” according to Acts 6:3 and Acts 6:8 respectively. How much more grace do you expect to be contained in The Woman who is to bring forth the Son of the Living God? The moon does not take away from the brightness of the sun, but reflects it. 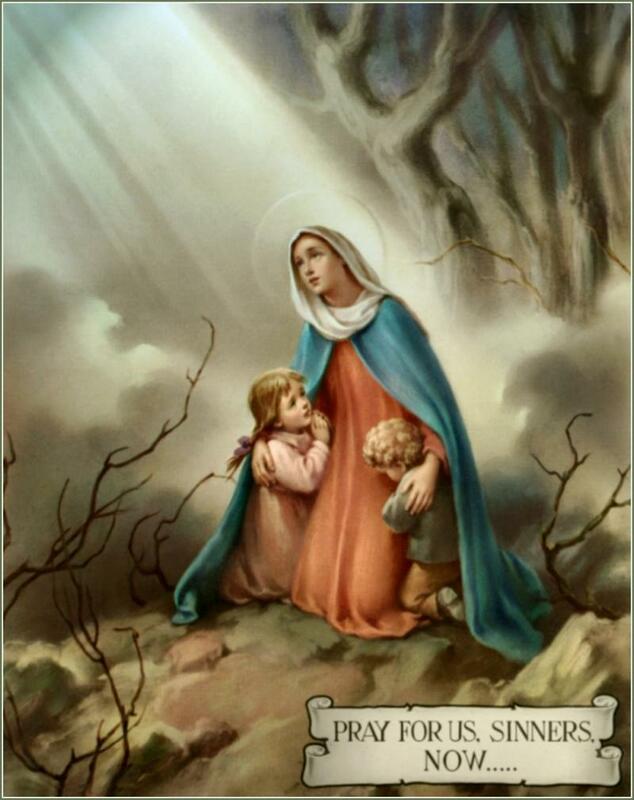 Likewise, Mary does not take away from the glory of her Son, Jesus, but reflects Him. Without the sun the moon is useless, so also, without Christ, Mary is nothing. She is “full of grace” because of Christ, the Source of grace. [Part 2] Blessed art thou amongst women, and blessed is the Fruit of thy womb, Jesus. This is derived from the exclamation of Elizabeth (filled with the Holy Spirit) to Mary. 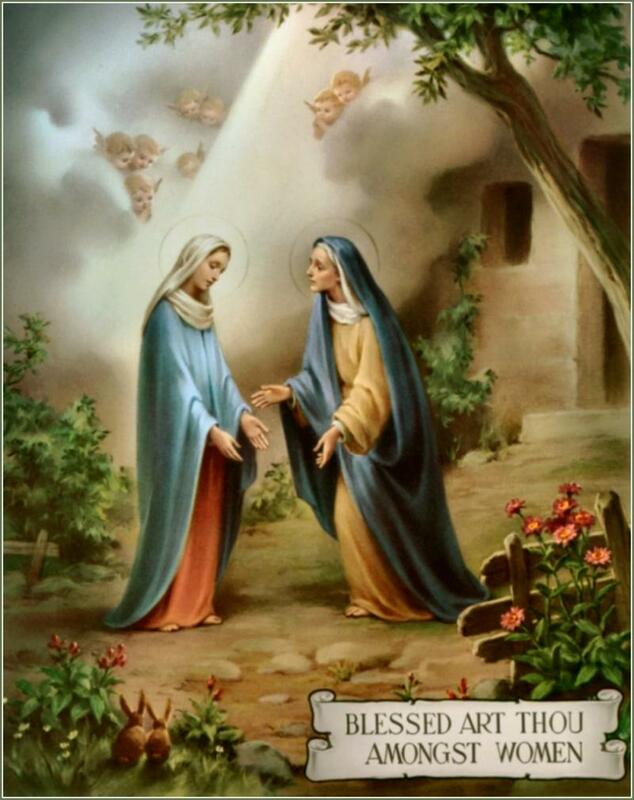 It is very interesting to note how the greeting of Mary “full of grace” had on Elizabeth. 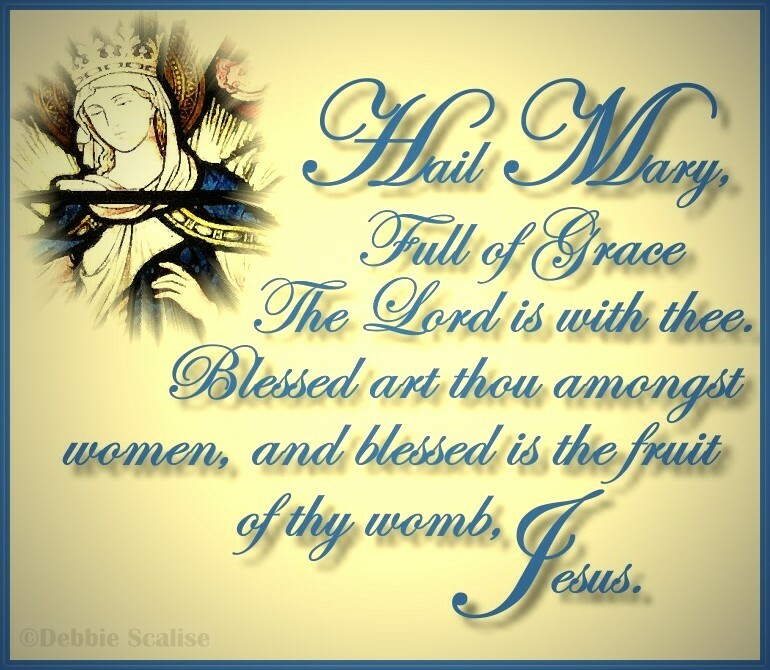 It moved her to become “filled with the Holy Spirit” and to exclaim with a loud cry, “Blessed are you [Mary] among women, and blessed is the fruit of your womb [Jesus]!” It is also worth noting that it wasn’t Elizabeth who was saying these things but God the Holy Spirit. 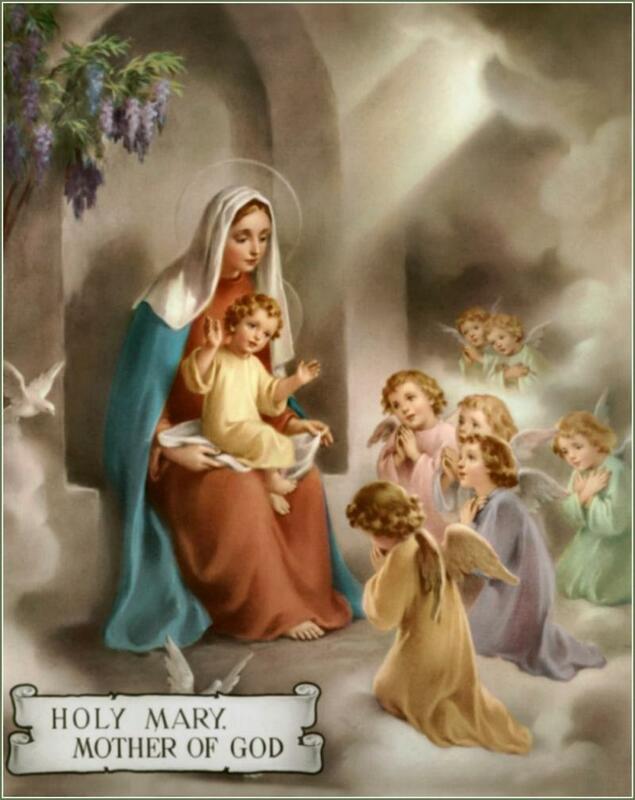 [Part 3] Holy Mary – This is derived from the fact that Mary “full of grace” is holy. If mere inanimate objects can be so “holy” due to closeness with God; how much more Our Lady who bore God the Son? 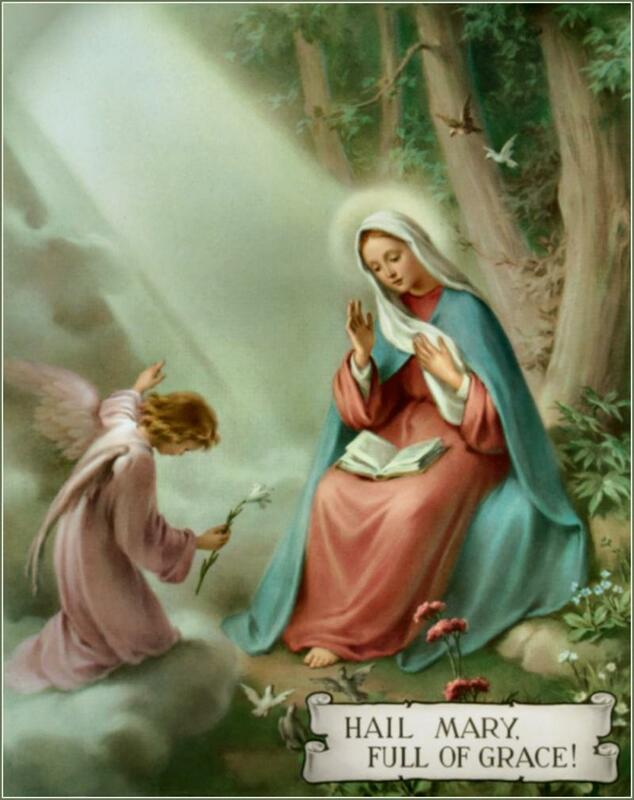 [Part 4] Mother of God - This is derived in part from the further remarks of Elizabeth (filled with the Holy Spirit) to Mary and other parts of Scriptures. The biblical Greek phrase used he¯ me¯te¯r tou Kuriou mou means “the mother of my Lord” indicating Elizabeth’s knowledge about Mary being the mother of her Kuriou (Lord) as a proof of the Lord of lords (Christ Jesus) whom Mary was carrying in her womb. It is good to also note that as a Jewish woman, Elizabeth cannot pronounce the name of God (Yahweh) because it is forbidden, hence, she has to say Lord (Adonai). [Part 5] Pray for us sinners, now and in the hour of our death. Amen. Perhaps this is the most problematic part of the “Hail Mary” prayer which is derived from the fact that the Church is the Mystical Body of Christ and there exists a living relationship with each member. This fact, that the Church is the Mystical Body of Christ, was made clearer when Saul of Tarsus (St. Paul) was persecuting the Church and Christ Jesus revealed to him on his journey to Damascus that he was persecuting Him. Scripture says God is not the God of the dead indicating that the Saints are not dead but much alive. The transfiguration account of Jesus Christ makes the case certain that the Saints are really and truly living with God, since Moses (who died according to Joshua 1:1) appeared together with Elijah (who never died but “went up by a whirlwind into heaven” according to 2 Kings 2:11). This fact is irrefutable! “Never be afraid of loving the Blessed Virgin too much. You can never love her more than Jesus did.” Saint Maximilian Kolbe. The power of faith may be immeasurable, but what a "Benedictine of Mary, Old Catholic Marianist" does with it is not. Maintaining the faith that guides our families.